Your pet's nutritional requirements will change as they grow into adulthood and again when they reach their senior years. A healthy adult dog does not require the same protein content in it's food as a puppy does. 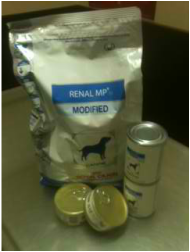 A cat with early signs of kidney disease should not be fed the same food as a healthy older cat. We can help you make the right choices for your pet's nutritional needs based upon its age, activity levels, and overall health.